Your days aren’t exactly overflowing with free time. You dedicate as many hours as you can to your blog, but it never seems enough. If only you could spend more time on the stuff that really matters. Like writing. Or researching. Or connecting with other bloggers. Surely you must be able to save a little time somewhere. As a blogger you camp out in WordPress for hours, even days. But are you really working as quickly, efficiently and productively as you could? Of course, you could always research a few nifty shortcuts. But that will take time – which is exactly what you don’t have. Fortunately, you can undo any time-wasting habits with these little-known WordPress hacks. Each one is guaranteed to help you wring every last second out of your blogging routine. To write as efficiently and effectively as possible, you need zero distractions. Problem is, the standard WordPress editor has a ton of them. The simple solution is to switch to full-screen editor, which gives you a stark-white canvas to work from. The essential formatting tools such as headings, links and lists are still there, but they’re hidden away, appearing only when you place your mouse pointer at the top of the screen. To get into the full-screen editor (called the Distraction-Free Writing Mode in WordPress), click the full-screen icon from your standard WordPress editor menu. You can also get there by using a keyboard shortcut. Just press Alt + Shift + w.
The one problem with the full-screen editor? It’s way too wide. Like Marianas Trench wide. You can fit 21 words on a single line! So here’s the solution: Change the width. Press CTRL and – to make it narrower. Press CTRL and + to make it wider. If you shrink the width to match your blog layout, you’ll get a better sense of how your writing will actually look on the page. Content that appears balanced at one width can look dense and crowded at another, so use this hack to avoid unpleasant surprises when clicking Publish. To get things lining up just right, open the post preview in a new tab and compare the editor view to the post preview, side-by-side. Then adjust the editor width until the lines break at the same point as the preview. It allows you to change the heading style of a line of text with the tap of a key. You can switch up the number here and change the heading to anything from H2 all the way to H6. And here’s a pro tip: It works both ways! If you’ve ever started typing on a line only to find it appearing as an unwanted heading, you can use the same, simple keyboard shortcut to place things right with the world again. CTRL (or CMD) + number to make a heading. CTRL (or CMD) + number to remove a heading. With this hack you can avoid clicking altogether and insert your Read More tag in milliseconds. Place your cursor where you want the Read More tag to appear. Press Alt + Shift + t.
While the correct button to click for Read More is a little elusive, the hyperlink button is so obvious and enticing that it’s all most bloggers use for inserting links. But here’s the thing: When you’re writing in the full-screen editor (see Hack #1), you won’t see the formatting menu or the icon. Dragging your mouse up top to make the menu appear is time-consuming, jarring, and a clear opportunity to improve. That’s why the WordPress pros use a keyboard shortcut. Here’s how: Select the text you want to link. Press CTRL + k (if you’re a PC user) or CMD + k (if you’re a Mac user). On the Buffer blog, we love to build internal links from our new articles to those in our archives. So whenever we come across an opportunity to link to something we’ve written before, we’ll jump at it. In the past, this led to a ton of “site:blog.bufferapp.com keyword” searches in Google to find suitable content. But a far better way exists. When you click that link, the dialog box expands to show all the posts and pages you’ve ever written on your blog and a search field to find just the ones you’re looking for. Click the post you want to link to and WordPress automatically copies that post into the URL and Title fields up above. Ever tried to copy a cool quote into your blog post from another web page or document? If you don’t paste it just right, you can find yourself swimming in alien formatting, div tags, and a whole mess of secret code that latched onto the quote you wanted. WordPress has a solution to this. You can paste text minus the formatting by clicking the plain-text clipboard icon in the menu. Now, every time you paste formatted text into the editor, WordPress will remove the formatting for you. That’s fine, except next time you cut and paste a section from your own post, it gets stripped of all the formatting. So you have to remember to change back to regular pasting, by clicking the “Paste-as-text” icon again. So here’s the hack: Keep the WordPress settings the way they are normally, and paste as plain text – sans formatting – using a keyboard shortcut. CTRL + SHIFT + v for Windows and CMD + SHIFT + v for Mac. 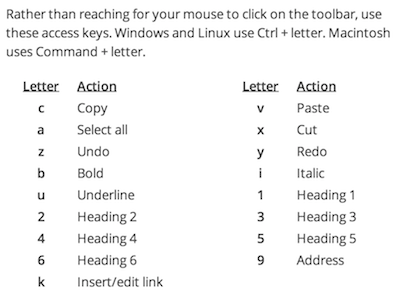 Bonus: These shortcuts work system wide, so you can use them beyond WordPress too. 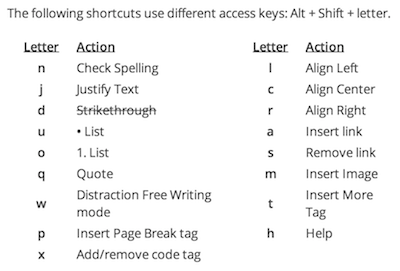 You’ve seen some of my favorite, time-saving shortcuts, but you’ll want to add a few that match your own writing flow. Found a shortcut that’ll make life in WordPress a little easier? Add it to your list. Note: You can also access this shortcut list any time by clicking on the question mark icon in the WordPress post editor menu. In the standard editor, the word count is at the bottom of the text box, just above the custom settings. In the full-screen editor, put your mouse at the top of the screen so the menus pop up, and the word count will appear below. Do dashes confound you? Em dashes, en dashes, hyphens – things quickly get confusing. 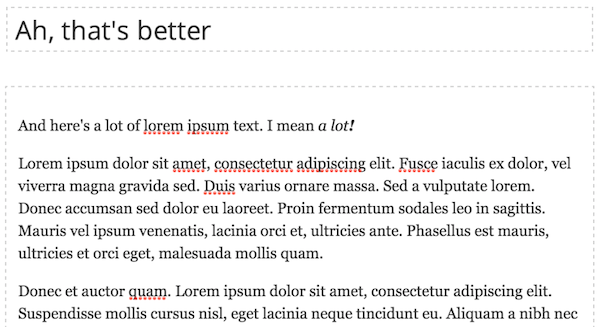 Thankfully we stick to a solid content style guide over at Buffer, using em dashes to separate ideas inside sentences. Here’s the simplest way to insert these with WordPress. Type three dashes in a row. While browsing the “All Posts” page, you can quickly make changes to any post you see in the list without needing to click through to the post editor. Hover over the title of the post you want to edit, and you’ll notice a list of links appear immediately below the title. These include a “Quick Edit” option. This one’s less of a WordPress hack and more just a new – and really cool – WordPress feature. For a while now, you could drag and drop images into the media upload window inside WordPress. Super. Great. A really helpful time saver. But with the most recent versions of WordPress, you can now drag and drop directly into the post itself, bypassing the “Add Media” button entirely! If you’ve got a big announcement or a really awesome post that you’d like to stay at the top of your blog (even after you’ve published new stuff), this is the hack for you. It’s a simple setting inside the post editor. Unchecking the box places the post back into chronological order. If you manage a blog with multiple team members, you could save yourself a bit of time – and any prematurely published posts by guest authors or contributors – by setting up the correct roles. If you have a guest author for your blog, the preferred role for them is likely a Contributor. If someone tweaks your writing before publication, but you don’t want to give them unlimited power, they’ll likely be best off with the Editor role. And so on and so forth. You’ll be able to figure out what’s best for you here. You can change the user roles in the WordPress settings. From the left-hand menu, go to Users > All Users. Select the users you want to change by placing a checkmark in the box next to their name. Above the list of names, click to open the box that says “Change role to…” Making a change here will update the role for all the users you’ve selected. You can also change the roles individually per user by clicking through to their user settings page. But we’re all about saving time here, and the bulk edit will be the quickest, easiest way to do this job in batches. While you’re poking around the “Publish” module in the post editor, you’ll also come across the “Status” option. Indeed, it can be used to move posts from published back into drafts. It can also be used to coordinate a publishing program with guest contributors or additional authors. When they’re finished with a post, they can set the status to “Pending Review.” Editors can then go into the “All Pages” section of WordPress and see which stories are ready to be checked. If you’ve been using WordPress for a while, you may have heard about shortcodes. If not, prepare to have your mind blown. Shortcodes are special tags you can insert in the body of your post which act as a kind of shorthand for more complicated coding. Whenever WordPress “sees” one of these tags in a post, it automatically replaces it with the corresponding HTML on-the-fly. Pretty rad, huh? You can type these shortcodes directly into the post editors (in either Visual or Text mode) and most take one or more additional parameters for configuration. Check out the full list shortcodes to see all the possibilities. Shortcodes are simpler than HTML code. Auto-embeds are simpler than shortcodes. 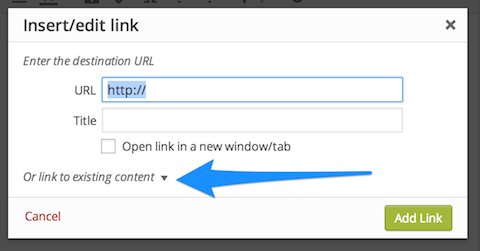 With auto-embeds, all you need to do is paste a URL from a supported site into your post editor on its own line. YouTube is just one of 28 sites that WordPress supports – here’s the complete list. Recognize any services that you use? Then get embedding! The WordPress dashboard throws a lot of information at you, and sometimes it can be a little overwhelming. The good news is that you can customize it to suit your own preferences and workflow. If you don’t want to see recent comments, hide them. If you don’t want to see the latest posts from the Automattic team, hide them too. Here’s how to get your dashboard looking exactly the way you want. Now you can choose to show or hide any of the widgets that appear on your dashboard. Here are some of the options you may see (the exact list will depend on what plugins you’ve installed). Keep what you need; hide what you don’t. From the dashboard, you can also drag and drop these widgets to appear in the order and position you prefer. You can minimize each of the widgets by clicking the small triangle in the upper-right corner of any widget. Phew, that’s a lot of customization. Here’s what my setup looks like – lean and mean. Have you ever spent ages trying to find one specific setting in the WordPress interface? I once spent 45 minutes trying to figure out how to turn off comments and pingbacks on a post. I couldn’t find the little box with the checkmark anywhere! That’s because it wasn’t there. Click on the “Screen Options” button in the upper-right corner. I run a pretty lean setup here too. Just the essentials: Excerpt, Categories, Tags, and Featured Image. You also have another option – under “Screen Layout” – the choice of either one or two columns. One-column layout gives you some of the focus of the full-screen editor – the standard editor widens to fill the window. You’ll still have the main WordPress menu to the left, but without the distractions of the right-hand column. As soon as you start blogging and writing a WordPress post, it receives a category. Fortunately, there are hacks to fix this. First off, you can change the default category for your posts. This way, whenever you begin writing a new post, it automatically starts off with the category you’ve chosen. From the left-hand menu, go to Settings > Writing. Change the Default Post Category to whatever you want, for example, your most common category. Alternatively, you could rename the “Uncategorized” category itself. Not only will this affect how new posts are categorized, but it will also update any posts from the past that were saddled with the “Uncategorized” tag. From the left-hand menu, go to Posts > Categories. Find the “Uncategorized” category in the list at right. Click on it. Edit the name of the category and the category slug (the permalink for the category page). Like many bloggers, you may have multiple WordPress drafts in development at the same time. 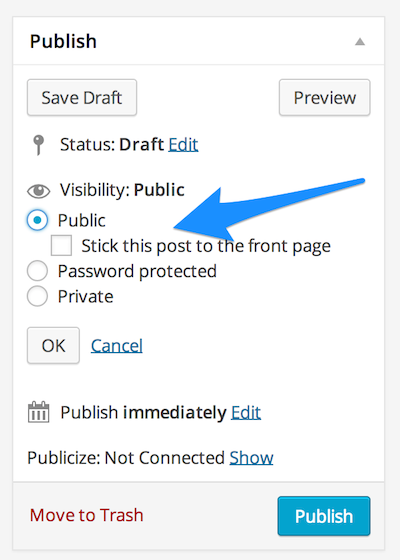 Sure, it’s easy enough to get to them through the “All Posts” page, but when you log into WordPress, wouldn’t it be more convenient to access any drafts-in-progress in no more than one click? 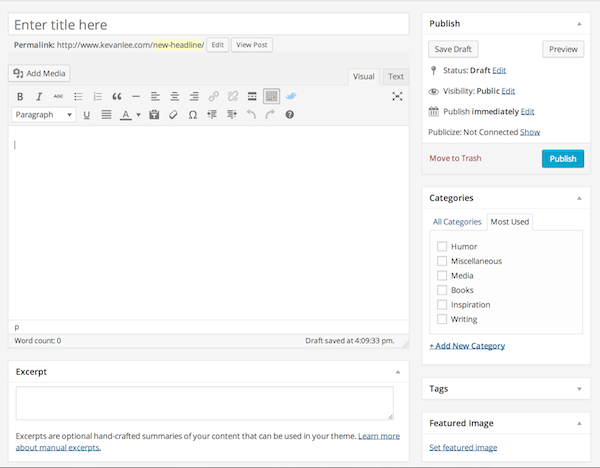 WordPress does have a Quick Draft widget that happens to show your most-recently edited three drafts, but if you have more drafts, they won’t show up. Here’s a clever hack for people who have lots of drafts floating around at any one time. It uses the “Activity” widget to put all of your drafts front-and-center. By default, “Activity” shows your recently published posts, your recent comments, and – here’s the kicker – your upcoming scheduled posts. So if you schedule your drafts to be published way off in the future – like years from now – the “Activity” tab will show those posts. 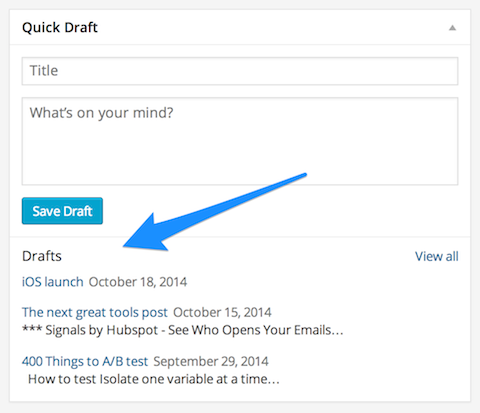 You’ve now got a way to place up to eight drafts on our WordPress dashboard. On occasion, you may need to update categories or tags for multiple posts at a time, either because you realized a bunch were missing or you thought of a new tag you wanted to use. Rather than go through all the posts one by one, try this quick workflow hack. Let’s say you wanted to add the tag “email” to all your posts that mention email marketing tips. On the results page, place a checkmark next to each of the posts that warrant the “email” tag. A “Bulk Edit” menu will appear. You can now change the categories, tags, author, comments/pingbacks, post status, and sticky settings for all the posts you have selected. You’ve found the perfect image for your post, uploaded it to WordPress, added it to the editor, previewed your link and … hmm, it doesn’t seem to fit exactly right. So you put on your graphic designer’s hat – resizing, re-previewing, and rechecking until the image is flush with your blog layout and everything looks pixel perfect. It’s time-consuming and you’d rather be doing other things, right? Here’s a hack to help. It requires changing the default media size for uploaded images. 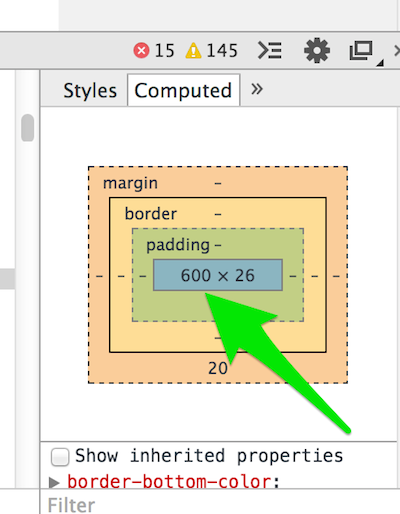 Well, whenever you choose to insert an image as “Thumbnail,” “Medium,” or “Large,” WordPress pulls those pre-set image sizes from your blog settings. If you want your “Large” images to take up the full-width of your post layout, you can make it so. From the left-hand WordPress menu, go to Settings > Media. Adjust the “Max Width” and “Max Height” settings to fit your blog sizes. Set the “Medium” size to take up 1/3 of your post layout, then use these “Medium” images as feature images for your posts by aligning them to the right. Set the “Large” size to fill the full width of your post layout. But what exactly is the full width of your post layout? I find mine using the “Inspect Element” option in my Chrome browser. Right-click anywhere inside the text of your post, and choose “Inspect Element” (the exact wording may be different, depending on your browser). A window appears, filled with all the web code for your page. If you mouseover the code, you will see the respective parts of your blog design highlighted, along with a display of height and width of the element. You could grab the post size from here. I like to go one step further. On the right-hand side of this new code window, click the tab for “Computed.” You should see a graphic of boxes with numbers in the middle. Those numbers are the size of your post, with the first number representing the width. The following hacks are not for the faint-hearted as they involve digging deeper into the files which implement your blog’s functionality – and one wrong step could break your entire blog. 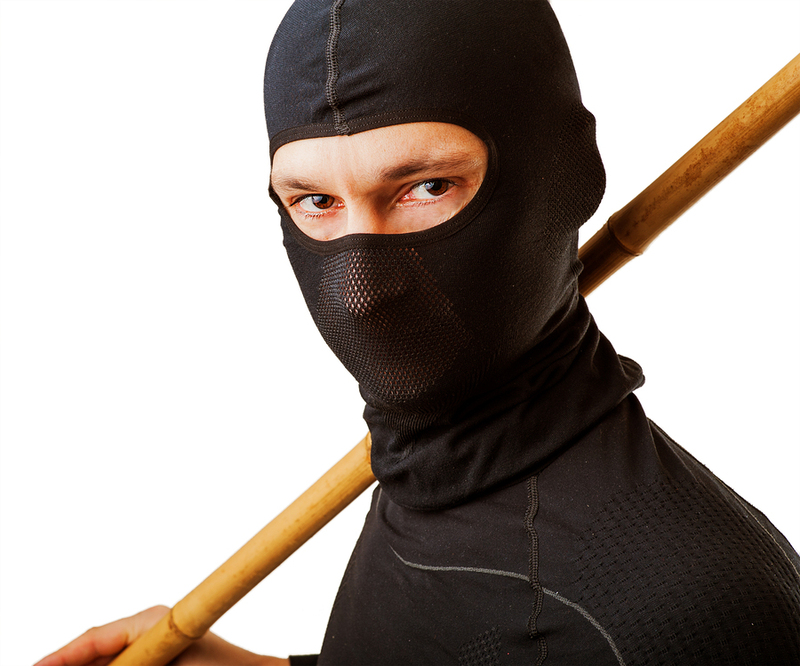 But these are true ninja hacks, so let’s just dive in. The functions.php file handles all the low-level customizations of your blog. To find it, in the left-hand WordPress menu, go to Appearance > Editor. Click on the “Theme Functions” file on the right. This next part is super important. While you’re here, copy all the code that appears in the code editor, and save it in a plain-text file on your computer. I like to open Notepad or Textpad and paste the code there. This gives you a backup of the current – working – code, just in case something goes wrong. Backup made, you can now begin adding code to the functions.php file – it’s as simple as copying and pasting. Note that the functions.php file always starts with “<?php”, so don’t paste any code before this. I prefer to paste anything new at the very end of the file so I can keep track of what I’ve added and to avoid any mistakes. There’s a really neat list from WP Beginner of 25 useful code snippets for functions.php, but here are some of my favorites. 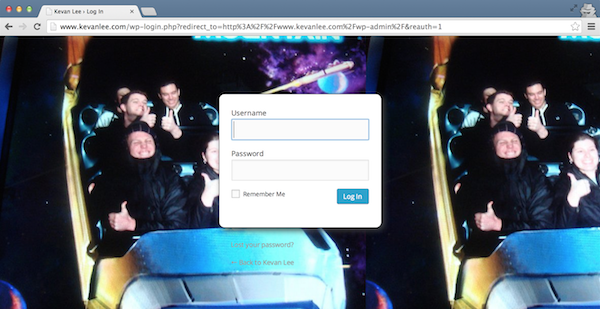 If you spend a lot of time in WordPress, you’ll be pretty familiar with the standard login screen. And if you’re maintaining more than one blog at a time, it’s easy to get confused between them and wonder why your login credentials don’t work any longer. That’s why it can be fun (and useful!) to hack the login screen to show a custom image. Truthfully, the easiest way to achieve this is by using a plugin such as Custom Login, but to remain plugin-free – and earn some serious “props” as a WordPress maestro – you can add a bit of code to your theme to control the look of the login form – everything from logo, to colors, to background images. Notice the “background-image: url” bit in the middle of this code? That’s where you’ll enter the image url for your background image. And if you want to change any other design element of the login page, you can add CSS code between the curly brackets above. WordPress has a complete list of all the different CSS selectors on the login page. A post excerpt can appear in your RSS feed and in various other places around your blog, such as search results and archives. By default, the excerpt length is set to 55 words. But if you want to make this shorter or longer, add the following code to functions.php and change the number “55” to your desired word count. This one’s a great hack for getting maximum value out of your RSS feed. Add the following code to your functions.php file, and you can control the content that appears in the footer of every post that shows in your RSS feed. You’re now equipped with an entire toolbox of time-saving WordPress hacks that few bloggers know. So take them for a spin. Commit them to memory. Make them your own. You’ll soon find you have more time to work on the blogging tasks that really count. And if a shortcut or new workflow feels strange at first, don’t worry. Nobody becomes a true WordPress master overnight. But time spent learning these tricks could pay back ten times over. And with each new skill, you’ll wonder how you ever did it any other way. About the Author: Kevan Lee creates content for Buffer, an incredibly easy-to-use social media scheduler. You can catch up with his posts about social media marketing and web writing, each one lovingly composed with WordPress.